Like most of us, your most precious family moments, from your child’s first birthday, to your grandma’s 80th, are sitting on your shelf in VHS, or still trapped on that old Hi8 camcorder tape? As the days and years go by, these heartwarming moments are not only collecting dust and taking up space, but they’re also fading away, literally. It’s no secret that with the passage of time, they lose there quality and get harder and harder to watch, and sooner or later they will be gone forever. Don’t let that happen to your most beloved moments! At Geek-A-Roo we can turn these home videos into digital masterpieces that will last a life-time, probably longer! Our service is complete, with no extra hidden fees! Not only will we convert these videos to high quality digital formats, but we can also re-master the video, which will turn back the clock and make them look better than ever. And, unlike our competitors, we won’t let you risk the safety of your videos by sending them in the mail, potentially being lost! We will personally collect these videos, and deliver them back to you once they’re done. And best of all, if you live in Polson or anywhere in the area, we will collect and deliver your videos free of charge! 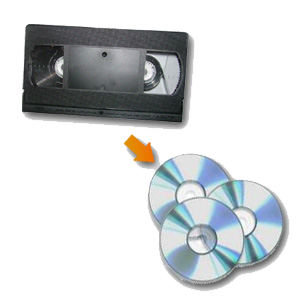 Digital Conversion of your VHS and Hi8 home videos, using high quality capturing devices, and state-of-the art software. Digital mastering and repair of your videos, which will remove lots of the damage time has done. We will create a custom DVD, and upload the video to a private YouTube channel where only you and anyone you wish to share the video with can see. Free collection and delivery to Polson, and the surrounding areas. Prices start at $10 per VHS or Hi8, and the more you have, the cheaper it becomes.